On September 11-14, Prof. Lynn Reaser, the chief economist of Fermanian Business & Economic Institute (FBEI) at the Point Loma Nazarene University and Dr. Thomas Hale, the business & economic senior research associate of the FBEI visited Jilin University to further explore the cooperation project of the Da Vinci index. The ISBE Secretariat had organized a meeting on the Da Vinci index project which was hosted by Prof. jianqiao Li, the General Secretary of the ISBE. Prof. Yinsheng Yang, the project cooperation manager, Prof. Haiye Yu, dean, College of Biological and Agricultural Engineering, Prof. Zhiwu Han, director, Key Laboratory of Bionic Engineering, Prof. Zhenning Liu, dean, Institute of Bionic Science and Engineering and other delegates from Jilin University attended the meeting. During the meeting, the bionic management research team of Jilin University firstly introduced their research progress on the evaluation and analysis of bionic development index in China. Prof. Lynn Reaser gave full affirmation and high evaluation to the bionic research work of Jilin University and expressed strong willingness of long-term cooperation. After in-depth discussions on the cooperation details, the two sides have formed a draft "cooperation agreement on the Da Vinci China index", and reached consensus on carrying out cooperative research and jointly releasing the Da Vinci China index. At this meeting, the two sides further signed the Memorandum of Understanding. During the visit, Prof. Lynn Reaser and the delegation visited the key lab and gave an academic lecture titled "Biomimicry and Economics" for the scholars involved in bionic management research. She introduced the development process and research progress of the Da Vinci index in detail and showed a good application and development prospect of bionics. 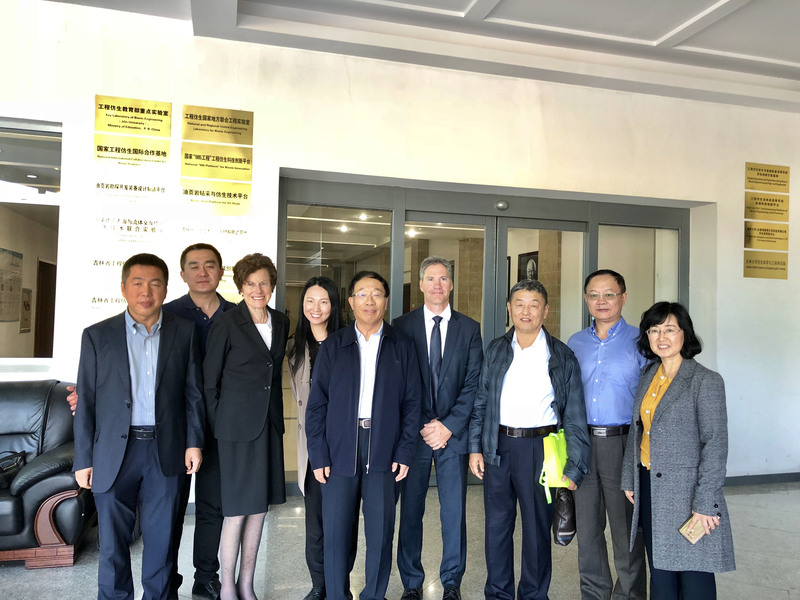 The Standing Vice-President of the ISBE, academician Luquan Ren attached great importance to the project cooperation, met with Prof. Lynn Reaser and the delegation during their visit. He gave high evaluation to the United States in terms of pioneering work on Da Vinci index. At the same time he introduced the research progress of the key lab and the current bionic research development in China, and put forward hope on cooperation prospect. FBEI is a prominent comprehensive policy research institution in the United States. The cooperation between the two universities will be conducive to the global bionic research and development and guide the bionic industry applications, will highlight the academic status of China in the international field of bionic research, and promote its bionic discipline construction and scientific research development, and is of great significance to enhance the global influence of the ISBE.